If you’re playing Xenoblade Chronicles 2, head to the Salvage Deck of Goldmouth at Argetum Trading Guild. Look for the Nopon Brobro and he’ll give you Mythra’s new costume. Note that you’ll need to reach Chapter 4 first. 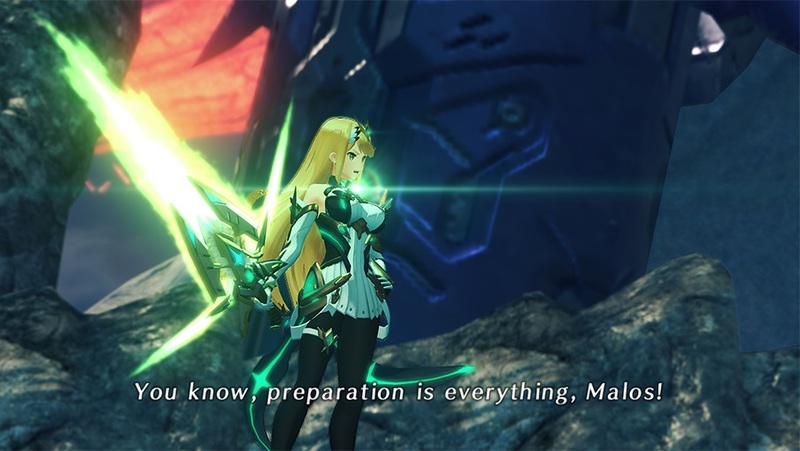 If you’re playing Xenoblade Chronicles 2: Torna – The Golden Country, visit Feltley Village Camp in Torna’s Lasaria Region. Nameless Wanderpon should appear close to the crater where Addam and Mythra show up for the first time. Equip Massive Melee Mythra as an Aux Core to have it appear. In case you’re curious, it provides a 25% boost to her critical rate.